We have partnered with WPML! 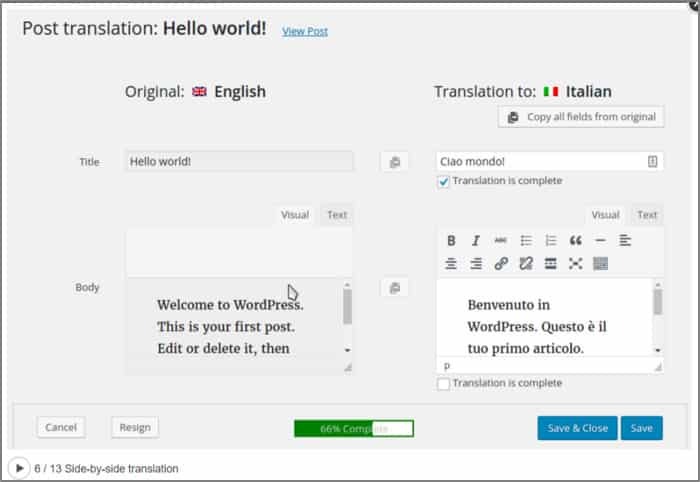 Espresso Translations is pleased to announce a new partnership with WPML (WordPress Multilingual Plugin). At Espresso Translations we always strive to provide deluxe services to our clients and this new partnership with WPML is just another way of keeping our commitment towards growth and better quality products to our highly esteemed clients. WordPress has grown to be the most popular open source and is used by over 20 percent of websites in the world. It is therefore imperative to build a single site compatible with more than one language to allow display of content in many different languages. This makes your site usable across the globe by people who speak different languages. WPML was developed specifically for this reason. 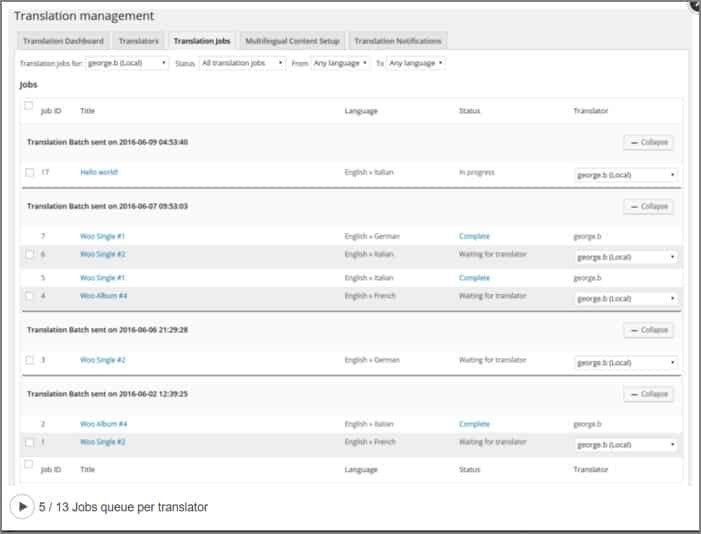 WPML has an easy set of 40 languages and allows users to add their own languages when needed. 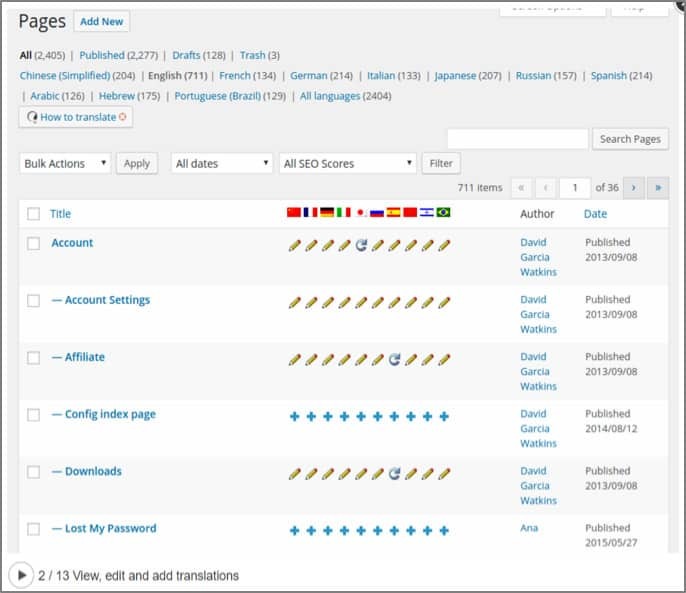 The plugin also gives users an option of implementing translations on different or the same domain making it ideal for any multilingual website. Why Do You Need A Multilingual Site? If English is still the only language of your site, then you are missing out. In fact, only 35 percent of web users cite English as a language of choice. Chinese is the next most used language online with around 14 percent of web users citing it as a language of choice online. Other notable languages cited by web users are Japanese, Spanish, French and German in no particular order. 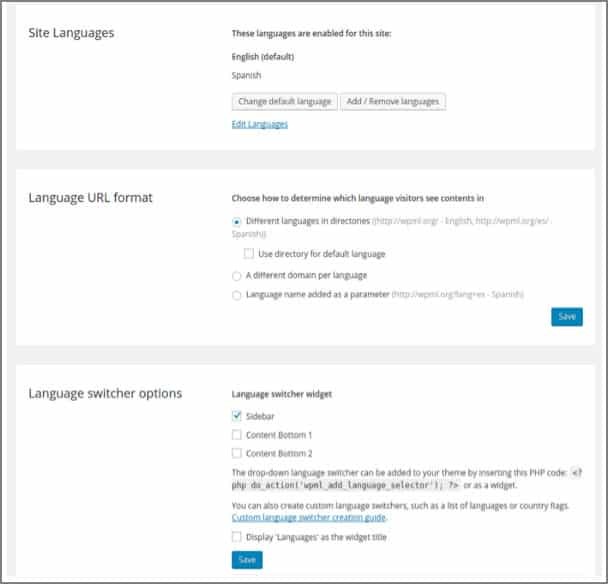 Just imagine for a second that your WordPress site was multilingual – it means clients far and wide will be able to access your site in any language. This can be made possible with WPML plugin. 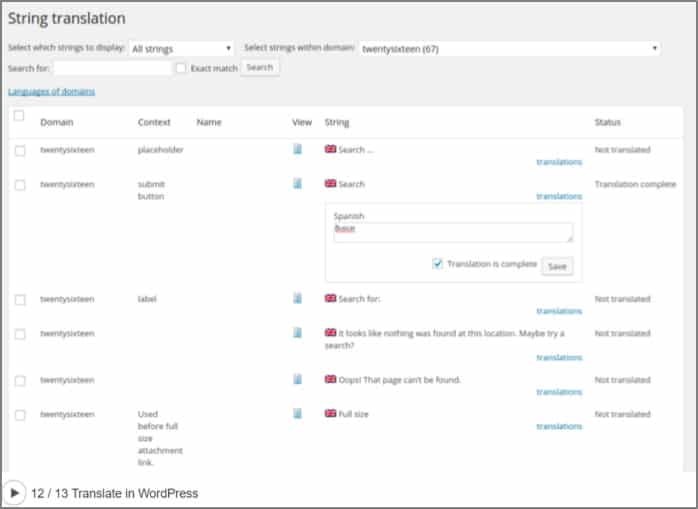 With WPML, you can translate all aspects of your site such as posts, pages, comments, custom post types, custom fields, taxonomies, theme elements, menus and more. 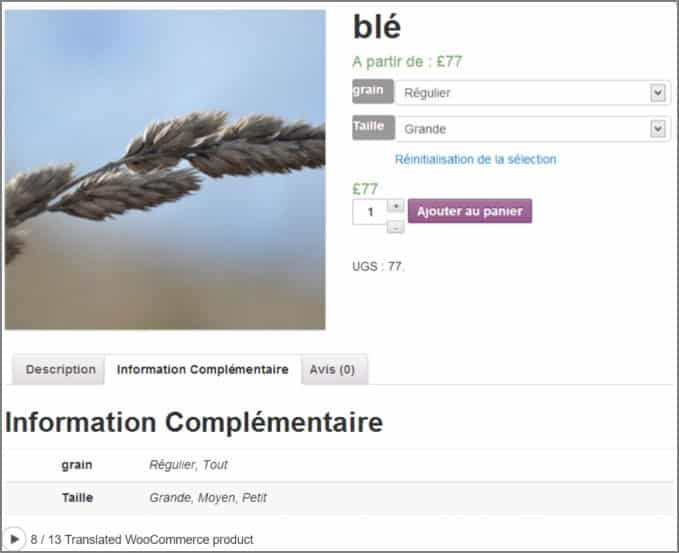 Using WPML for your e-commerce site will help you create a multilingual e-commerce experience for your clients. Whether you sell a single product or a catalogue of goods, WPML can make the entire translation process easy and quick. A multilingual site will boost confidence and increase the credibility of your business, as opposed to a single language website. Meaningful and reliable translations – It translates your brand as a whole and not the text alone. Correct adaption of words and figures of speech to local culture. Multiple Language Compatibility –The plugin comes with 40 languages out of the box and also allows you to add your own language. 2. Multi-Lingual Content Management System (CMS) – It works well with all multilingual CMS powered by WordPress. 3. Theme And Plugin Text Translation – Most theme or plugin texts are available in English, but WPML will translate the text in to any other language you may prefer. This makes it possible to use such themes and plugins in any site or blog. 4. Boundless Translation Management- WPML manages translations solely without creating any interference from the users. 5. Feedback Translation – WPML automatically translates comments from your audience or subscribers into your language of choice. This makes your site usable for you and the visitors. 6. E-Commerce Benefits – It allows you to easily build a multi-lingual ecommerce site and shows you the specific text that needs translations as well as building complete translated store for you. WPML is easy to install and use and is encouraged for any modern website to enhance user experience. It allows you to run multilingual WP website through a single installation. You can choose your desired language and start the content translation in a blink. It gives you the opportunity to upload or install total theme on your WP site.